Brand new townhome END UNIT, in the up and coming Spring Creek neighborhood. 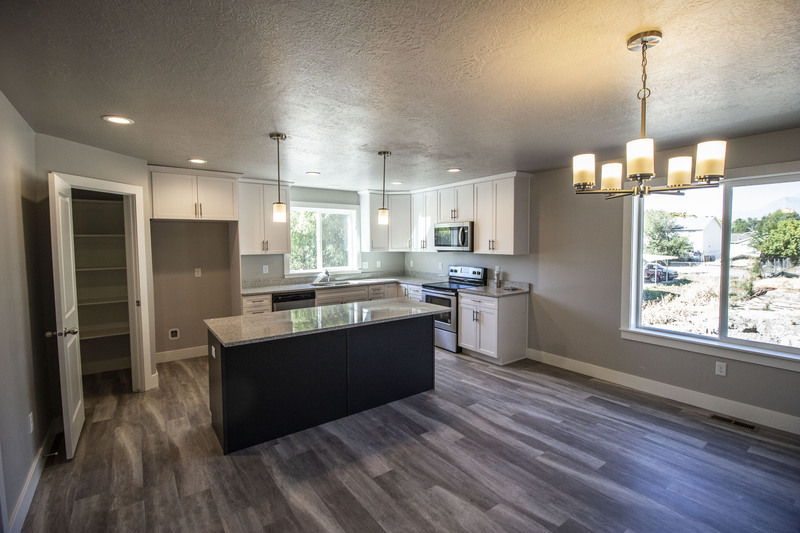 With a large kitchen and large dining area, entertaining will never be a problem! You’ll enjoy the vaulted ceilings in the master bedroom along with unobstructed views of Mt. Timpanogos. Just down the street is the soon to be completed 5.5 acre Spring Creek city park! With easy freeway access, granite countertops throughout, bonus room in the basement, tons of natural light, and a 2 car garage! This townhome is sure to please even the most sophisticated of buyers. Schedule your appointment today! Square footage figures are provided as a courtesy estimate only and were obtained from builder. Buyer is advised to obtain an independent measurement. Contact Will Taylor at (385)-312-3646 for appointments and information. We're sorry, but we couldn't find MLS # 1559804 in our database. This property may be a new listing or possibly taken off the market. Please check back again.